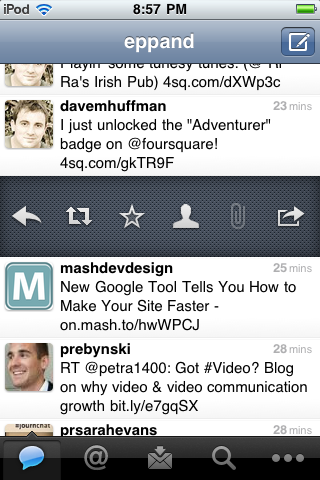 Twitter recently announced an update to their iPhone app that made changes in a direct response to user feedback. To much jubilation, the Quick Bar was removed from the feed view. The release that introduced the Quick Bar created quite a stir in the Twitter app community. With minimal screen real estate, users wanted their content on the screen and not suggested content. Retweet and Quote Tweet together at last. best practice means to share someone’s Tweet while adding your own comments. Possibly to the dismay of Twitter most users still use the Retweet function to share and contribute, so to satisfy user adoption this user interface move works. To access the menu item select the cycling arrows from the tweet action menu. 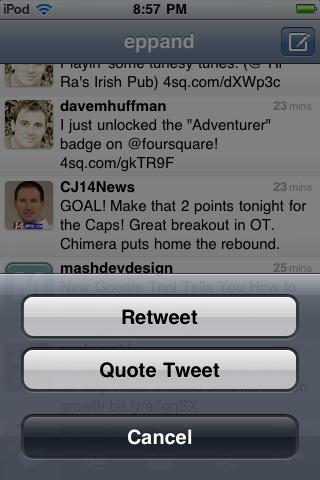 Under that menu item is where the user now selects the desired sharing method; Retweet or Quote Tweet. Need a Guest Blogger? Want to Guest Blog? How to you go about getting bloggers to write for your site? How can you request to guest blog on someone’s website? Started by Ann Smarty, My Blog Guest is a community of both writers and site owners looking to connect for guest blogging. The site requires registration (free) and seems to be a great tool for bringing together those looking to benefit from guest blogging. At the Bing Search Summit, Microsoft alluded to the impact that social networking websites are having on search results. Although acknowledged in the very early stages of implementation, this assessment is key in the next step in the SEO ‘game’. Bing is using social annotations, like the Facebook “Like”, to become a ranking factor. In time they see this creating a better personalized search results. This information is solid proof that you shouldn’t overlook Facebook and the other social networking sites when planning your upcoming marketing efforts. As so many marketers, SEOs, and web developers suggest; ignoring social media will get you left in the cold.